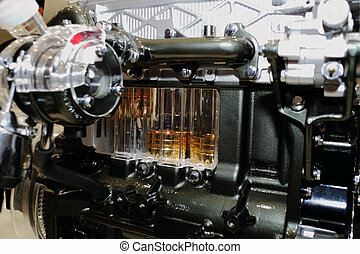 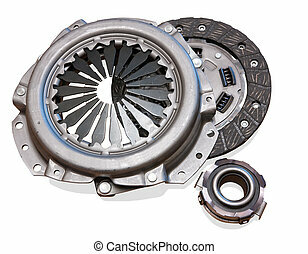 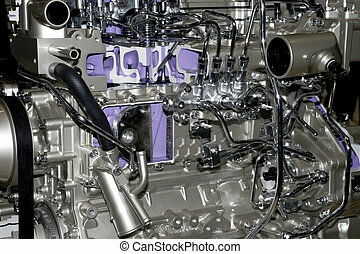 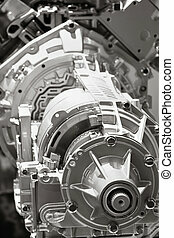 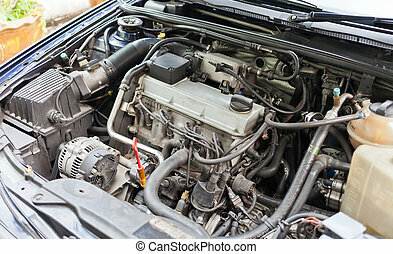 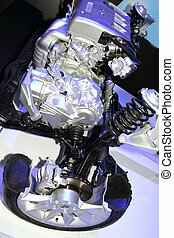 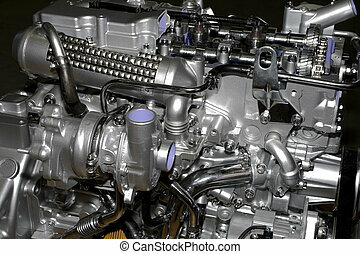 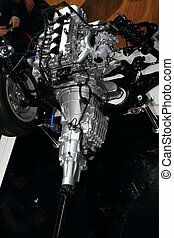 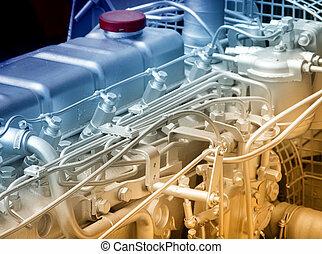 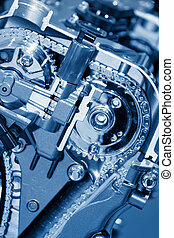 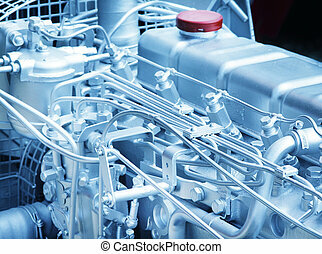 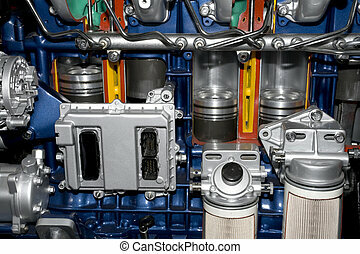 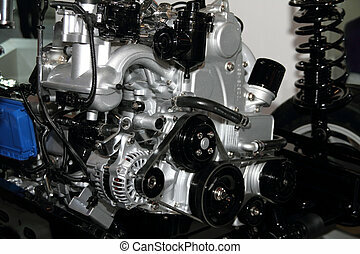 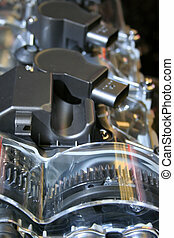 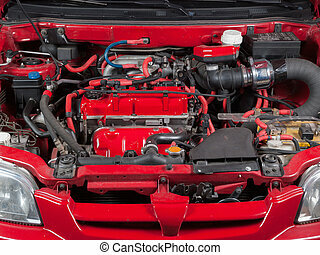 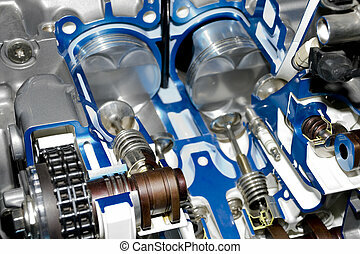 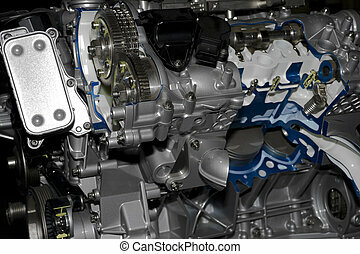 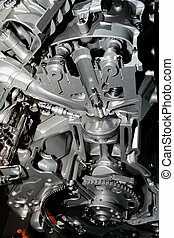 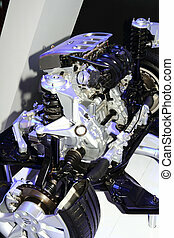 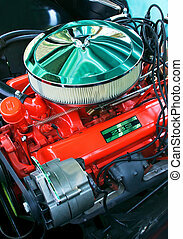 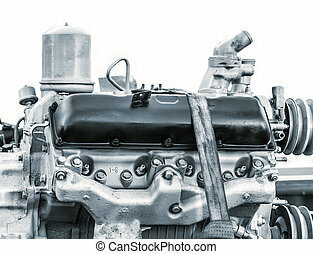 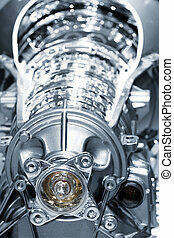 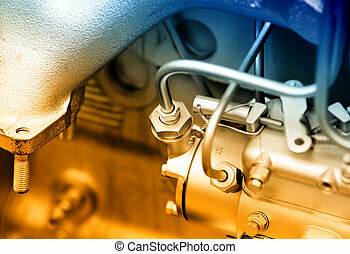 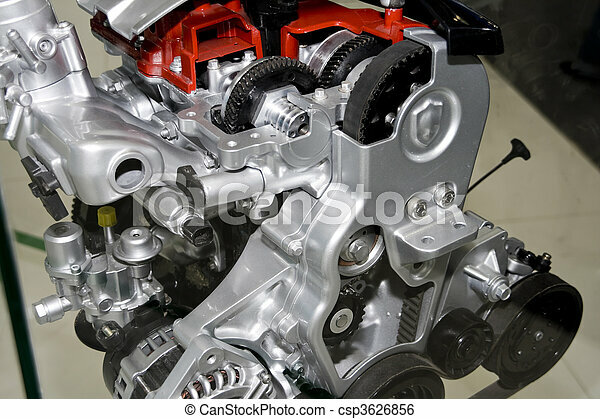 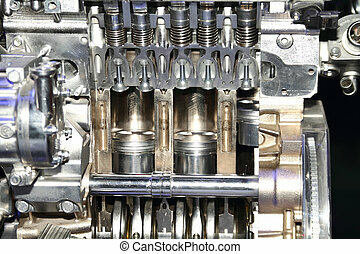 Automobile engine. 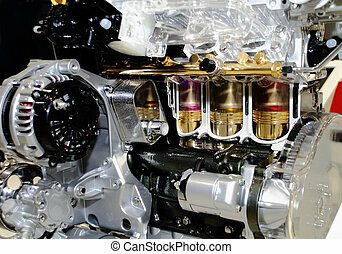 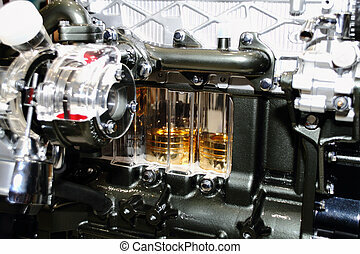 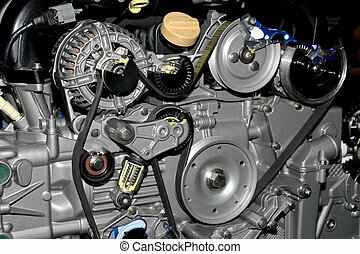 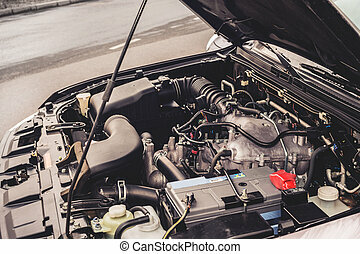 Complex engine of modern car interior view. 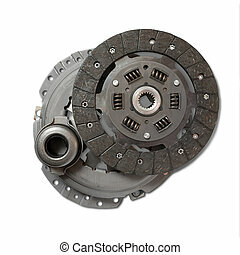 This is an old automobile engine.